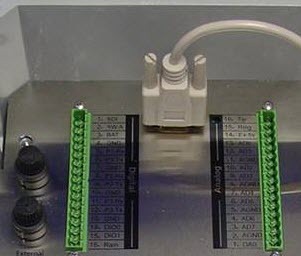 Directly Connecting to a 3100-iSIC Data Logger - NexSens Technology Inc.
To directly connect to a 3100-iSIC data logger, simply unplug the Cellular modem RS-232 cable from the iSIC data logger DB9 and plug in a RS-232 cable directly connected to the PC. If the 3100-iSIC is already setup in iChart, select it from the Navigation Panel and then right click and select Property. verify the correct COM port is being used. Change the Connect Through setting to Direct to PC.